Explore major job trends in Canada’s evolving air quality sector with Careers in Air Quality. 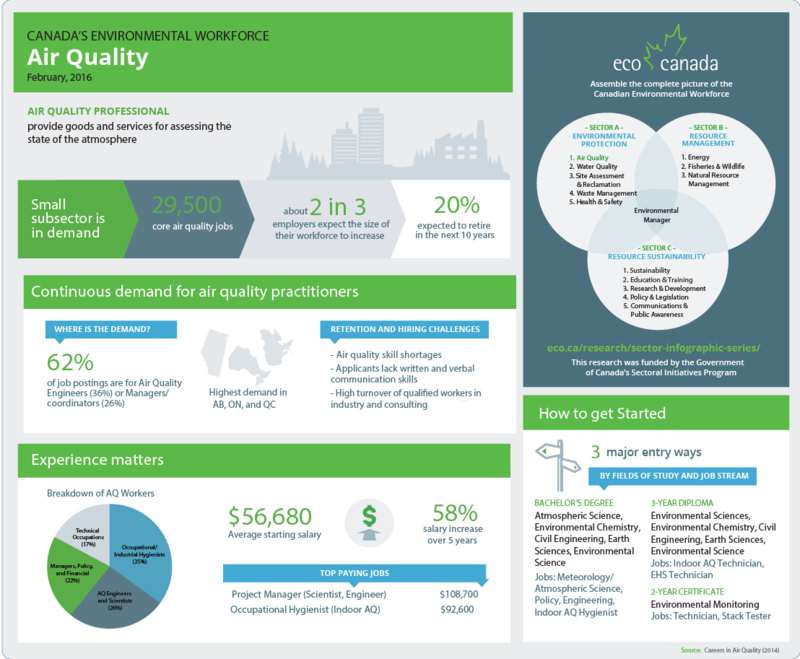 This research delves into the characteristics of core air quality occupations, providing detail on typical areas of practice, key employers, in-demand skills, average salaries, and more. 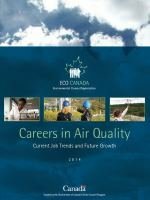 Careers in Air Quality also shows you the typical pathways that air quality workers follow to advance their careers, offering insight into common fields of study and different occupational streams.